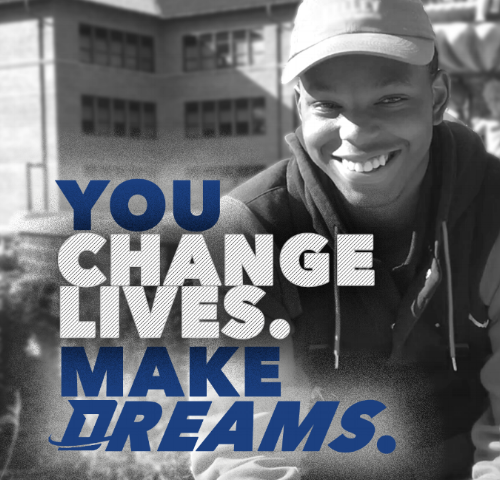 DREAM Alive's mentoring of at-risk youth, changes their lives by providing DREAMs for their future. We cannot achieve this mission without unsung heroes who contribute sacrificially to our mission. Over 95% of youth in our program are living below poverty, and need help from heroes to help them DREAM and change their lives. DREAM Alive provides 3 times more hours per week with youth than the Big Brothers Big Sisters. DREAM Alive costs about $300 less per scholar to mentor than the national average for mentoring organizations. DREAM Alive strategically utilizes character development to build our scholar's emotional intelligence. DREAM Alive strategically plans over 112 experiential learning trips in the community each year to expose scholars to new ideas, job fields, and areas of service. DREAM Alive does not rent office space, so the most of our money goes directly to serving scholars in our community. These are just a few key numbers and notes about how far the impact of your donation goes. Thank you for considering to give to our mission to develop youth in at-risk community to become leaders. $75 - Provides Food at DREAM Alive site for 200 total scholars. $750 - Provides support for 1 Scholar to complete the year long DREAM Alive mentoring program. $2,500 - Provides week long Summer Camp for DREAM Alive scholars. $5,000 - Provides College Road Trip for DREAM Alive High School Scholars to experience local colleges. $40,000 - Provides DREAM Alive program for 1 school site.